Here is simple Mathematical Equation Picture Puzzle for kids. 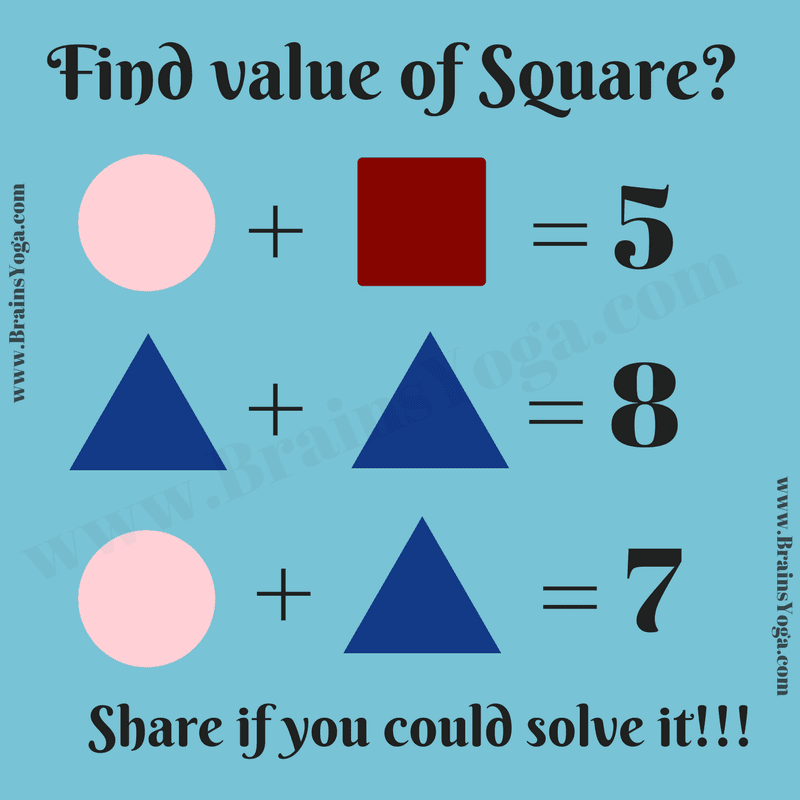 In this Algebraic Puzzle, your challenge is to find the values of the given Shapes and then find the value of the Square. So can you find the value of the Square? Can you solve this simple Maths equation? The Answer is Triangle is 4, Circle is 3 and Square is 2.